Made from a hardwearing 100% peached cotton twill fabric, the Pure Cotton Twill Shirt from Hoggs of Fife has a button-down interlined collar making it suitable for formal or casual wear. 16-stitches per inch construction gives it sharp and strong seams throughout. The front placket has 7 horn-effect buttons and it has distinctive double-button interlined cuffs with buttoned gauntlets. Made with an extra long drop tail to ensure the shirt stays tucked in and with a rear centre pleat for a tailored fit. 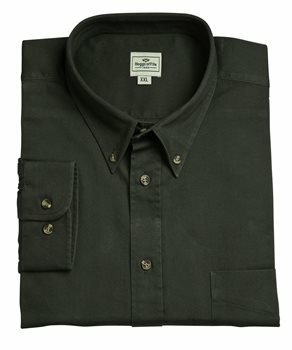 It has a plain and elegant open breats pocket, is supplied with spare buttons and is machine washable at 40C. 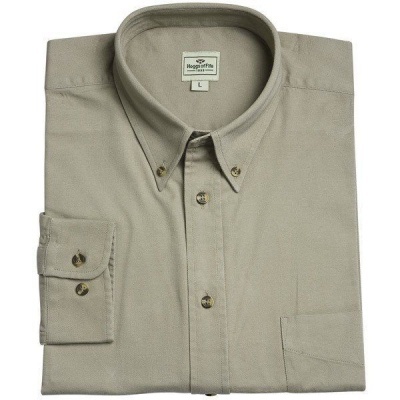 Available in two classic country colours (Sand or Woodland Green) and in gents sizes M-XXL.